Sharing a customized ringtone to another iPhone allows you enjoy a personal feel to your device especially in public. There are different ways to send ringtone from iPhone to another iPhone. Find out how you can also send ringtone to iPhone via email. When you find a share-worthy ringtone, it is only normal for you to share some of your favorites with your friends. You may want to send them a customized ringtone that you have prepared yourself or one you created using a third party program. Have you tried sharing ringtones from iPhone to iPhone or from computer to iPhone? Has it been more of a daunting task for you? Here is a practical guide that will help you send friends your iPhone ringtones with ease. How to Send Ringtones to iPhone with iMyFone TunesMate? iMyFone TunesMate is a program that can help you send ringtones to iPhone. These ringtones – whether purchased or downloaded for free – can be sent directly to your iPhone without the use of iTunes. Interestingly too, iMyFone TunesMate is well designed to ensure you do not lose any original media data while sending your favorite ringtone file. You would be able to manage and customize your preferred ringtone from any song and transfer these tones to/from your iPhone. You can send ringtones from iPhone to iPhone or from your iPhone to computer or iTunes. During the transfer of files, data is synced without any risk of loss. 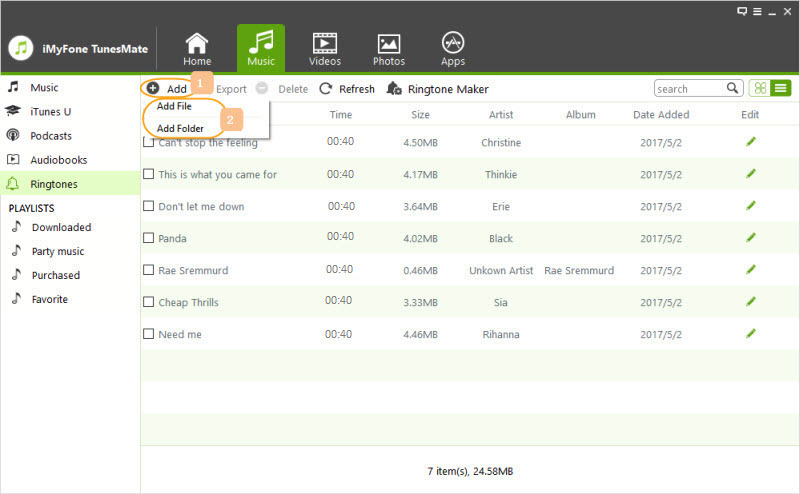 It allows transfer of both free downloads and purchased ringtones across all iOS devices. You can enjoy added features such renaming, adding, deleting, and exporting or importing files on your iPhone. Here is a practical guide that will help you send ringtones from iPhone to iPhone with iMyFone TunesMate. Step 1: Launch the iMyFone TunesMate program and connect your old iPhone. Step 2: Choose the ringtones you want to export. Click on “Music” and then select the “Ringtones” tab in the subcategory. You would find all the tones on your device in the Ringtones section. Choose the tone you want to send and click on “Export > Export to PC/Mac”. Store the tone in any folder of your choice. Step 3: Change the device. Disconnect the former iPhone device and connect the iPhone device you want to send the ringtone into. Step 4: Choose the ringtones you want to import. Select “Add > Add File” at the top right corner of your screen and locate your preferred ringtone. The ringtone will be transferred to your iPhone device. How to Send Ringtones to iPhone through Email? Every iPhone user would welcome the idea of having a perfect alternative that allows them send ringtones to their iPhone – whether it is from their computer or another iPhone. Although sending ringtones via email is an old transfer method, it is still a substitute platform to escape the hassles of only making use of iTunes on your iPhone. To achieve this, here are a few detailed, yet practical steps. Got to “Compose” to send a new e-mail and make yourself the recipient of the mail. 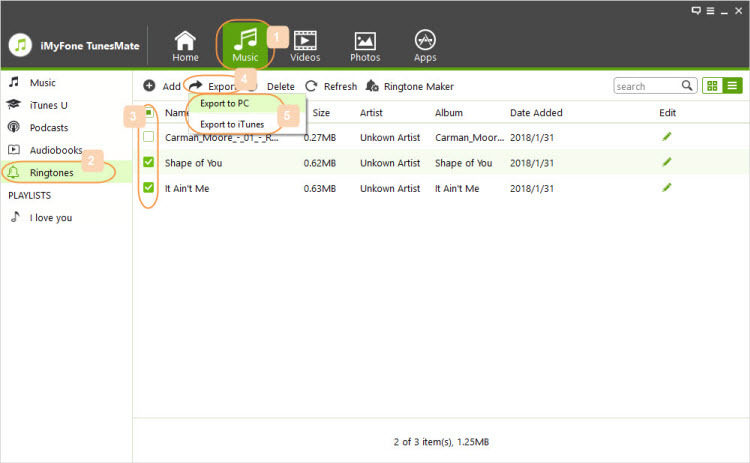 Before saving or downloading the file, first ensure it is in M4R format. Click on your preferred ringtone file and save the file by downloading it. Go to the ringtone file you want to set on your iPhone, upload it as an attachment, and send the e-mail. Sign into your email account on your iPhone and download the attached file. Go to your browser and sing into your email account from your computer. 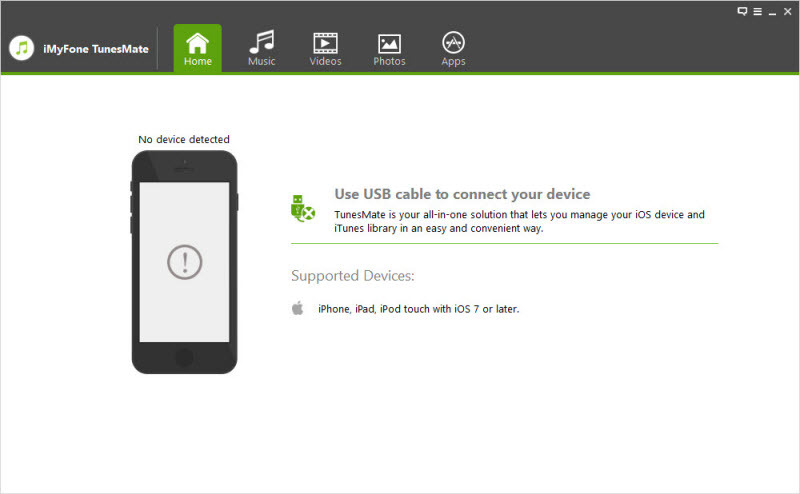 Connect your phone to your computer with a USB cord and open iTunes on your device. 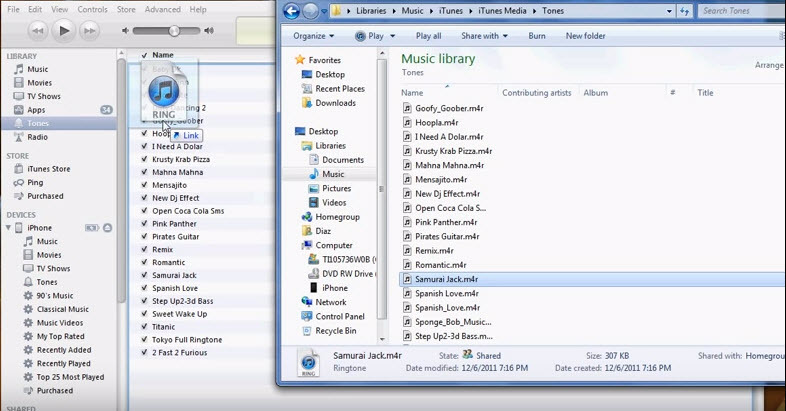 Go to the folder where you already saved the ringtone file and move it to the iTunes Library section at the upper left hand corner of your computer. Ensure the ringtone file is moved to the “tones” subcategory. 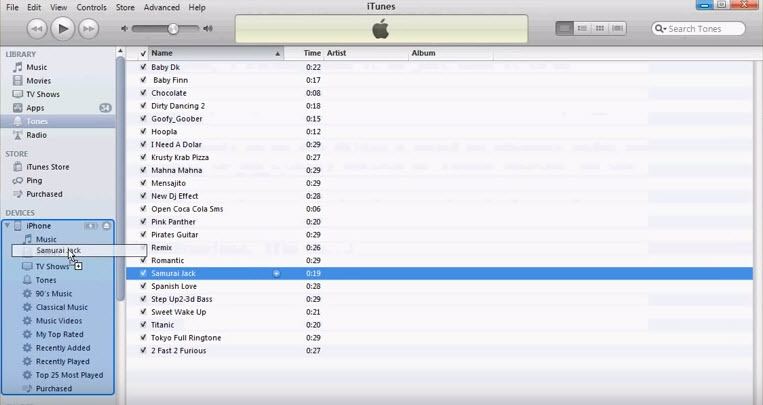 Move the ringtone file from iTunes to the “Devices” section of your iPhone. Your selected ringtone will automatically sync to your iPhone immediately the file is moved. All in all, iMyFone TunesMate is a perfect alternative to the email method to send ringtones to iPhone.